Why did David continue to make preparations for the Temple even when God had already told him that he would not be allowed to build it?Â It would be his son Solomon who would build it instead. He also went on to organize the Levites, priests, musicians, plus many other administrative details of the Temple operations. David commanded to gather together the resident aliens who were in the land of Israel, and he set stonecutters to prepare dressed stones for building the house of God. 3Â David also provided great quantities of iron for nails for the doors of the gates and for clamps, as well as bronze in quantities beyond weighing, 4Â and cedar timbers without number, for the Sidonians and Tyrians brought great quantities of cedar to David. 5Â For David said, â€œSolomon my son is young and inexperienced, and the house that is to be built for the Lord must be exceedingly magnificent, of fame and glory throughout all lands. I will therefore make preparation for it.â€ So David provided materials in great quantity before his death. Why would David continue to put all this effort into the work, where he would personally not receive any benefit? What can we as leaders learn from David in his example? 1)Â Â Â David supported the will of the Lord before His own. The Lord told David that â€œa man of restâ€ would build the temple not a manâ€™s whose hands were covered with blood. So when David makes the preparations he is seeking to use his ability to gather resources from others and his gift of administration to support the Lordâ€™s will. 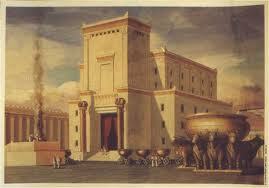 He did this even though we know his heartâ€™s desire was to build the temple himself. 2)Â Â David put Godâ€™s name over his own. He recognizes that his son is young and therefore if he were to attempt to do this construction then it would be less than magnificent. There are times when a father needs to let his son fail, so that he can learn and grow as a person (or leader). But the Lordâ€™s House is not one of those times. This effort has to go right, and be done right. There is no room for anything less than excellence. Why? â€“ Because Godâ€™s name would be attached to it. Nations would come to see it and it would stand as a monument of the Lordâ€™s greatness. It would show the world how to have a relationship with God. How do you balance pragmatism (cheapest materials, reasonable square footage, etc.) with the excellence of the name of the Lord (He deserves the best of everything)? There will often be times when a leader must consider the resources available and the project that needs to be completed. He must then weigh the need with the desire to do oneâ€™s best for the Lord. 1)Â Â Gather the best materials you can. 2)Â Â Gather the best talents you can. 3)Â Â Make the best plans you can. 4)Â Â Involve as many people as you can. 5)Â Â Establish organization, order, training, and systems (before you build) as best as you can. 6)Â Â Give your personal best. Give personally. 7)Â Â Dedicate it to the Lord â€“ donâ€™t turn it into your house (your project, your mission effort, etc.). When you have done these things then God will be pleased with your effort for Him and He will bless those who seek to do His will and to make His name known. 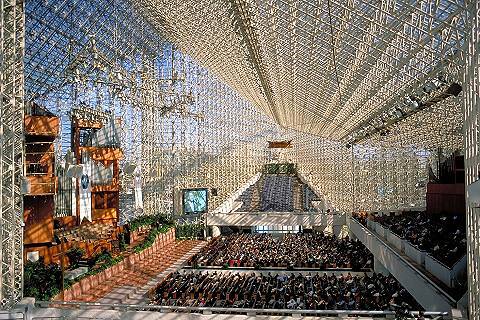 Whether it is a thatch roof pole structure in Central America, a clay block walled structure in Africa, or a Crystal Cathedral in the United States as long as Godâ€™s name is glorified and His Word followed then he will inhabit the praise of His people. For further reading on this topic consider: Leroy Eims, Be The Leader You Were Meant To Be (Colorado Springs, Colorado; David C Cook, 1975, 2012) pp.73-91.